Qigong is generally thought of as being an activity we do standing up but the exercises – practically all of them – can be adapted just slightly, making it the perfect solution for those who are not able to stand at all, or for long periods of time. In this short blog post, I will explain the benefits of seated qigong on our mind, body and breath. Personally I found seated qigong to be a tremendous way to keep myself moving when recovering from a cruciate ligament surgery several years ago. It not only kept me mobile but certainly helped my mood – which isn’t alway that great when recovering from an operation, I have to admit! Additionally, I have had several tai chi students over the years, who have attended class after similar operations or in recovery from injuries, who similarly perform the exercises from a chair. The exercises combine very well with physiotherapy. (But do speak to your healthcare professional before starting). I tend to follow a mantra of “just keep moving” – regardless of injury or physical condition – there must be something that you can move. Just a little bit of exercise you can do. And if not – well focus on energy in and around the body with your mind and keep yourself moving internally with a meditation practice. I have seen seating qigong really come into its own when taught at residential homes. I personally have taught in a couple and the benefits that the learners receive from adding some gentle movement and deep breathing to their days are huge. If we are going to give the older generation who are not always able to look after themselves a good quality of life, it HAS to include exercise – and not just physical. Qigong is that perfect balance of mindfulness and gentle, easy movement encouraging deep breathing, which can be easily adapted to those who can only sit down. Psychologically, breathing deeply and moving gently, will improve the mindset of anyone who is mostly only in a seated position all day. In the sessions I have taught, I have seen a tremendous difference in some people between how they seemed at the start of the session, to how they were at the end. After the sessions, the mood in the room has always been elevated and the people in attendance much happier to chat and enjoy their time together. Asking someone who is sitting down all day to just sit still for even longer and follow a guided meditation may not work out too well. Adding in a few movements and allowing them to follow you in a moving meditation, could just well be a great solution! Physically, the movements are very low impact, completely adaptable and easy to follow. I know myself, that if I am in a seated position all day, not moving much, that it can become incredibly uncomfortable. You don’t often realise that just a small amount of movement, focussing on mobilising the joints and stretching the muscles a little bit, can ease aches and pains, reduce tension, get the blood flowing and make you feel more comfortable in general. The movements in qigong will get the body moving in the correct way and stop energy stagnating, which in Chinese medicine terms at least, is certainly a precursor to ill health. Gentle joint rotations, flushing them with synovial fluid, will help keep them healthier and more mobile. Injuries, health conditions, immobility, admitting to yourself that (for the moment at least) you are not as physically able as you have been. This added to any possible pain being experienced, will be potentially very stressful. Increased stress results in elevated cortisol levels, inducing a flight or fight response and a shortening the breath, which will anyway be focussed mostly in the chest. What we are trying to achieve with our seated qigong, is a deepening of the breath, slowing it down and over time shifting to breathing diaphragmatically – this lowers the stress response, increases oxygen, stabilising blood pressure – feeling calmer and more relaxed overall. So don’t think that if you can’t stand, that you are not able to do exercise – nothing could be further from the truth and whether it’s recovering from an injury, a health condition that may be affecting you, or the process of getting more advanced in years, you can reap the rewards from adding in a qigong practice to your daily routine. If you would like to read more about qigong in general – please click here to read a blog post all about it. To follow some guided qigong routines – including seated only – you can find them here. 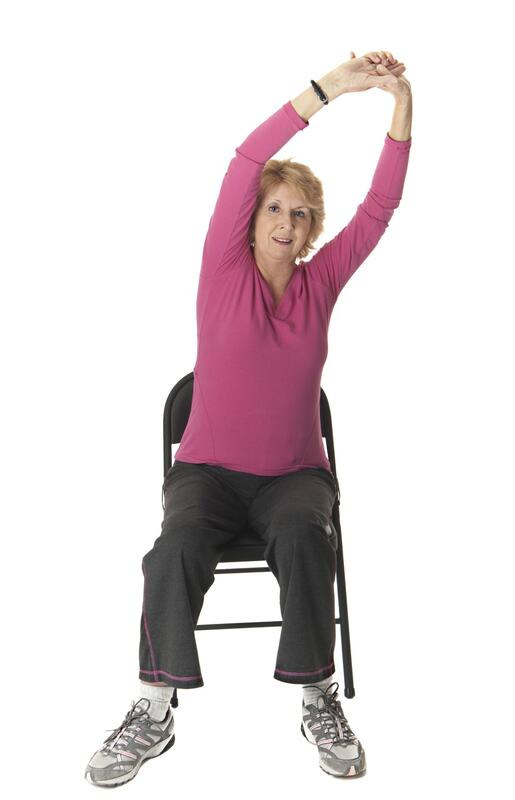 0 responses on "The Benefits of Seated Qigong"